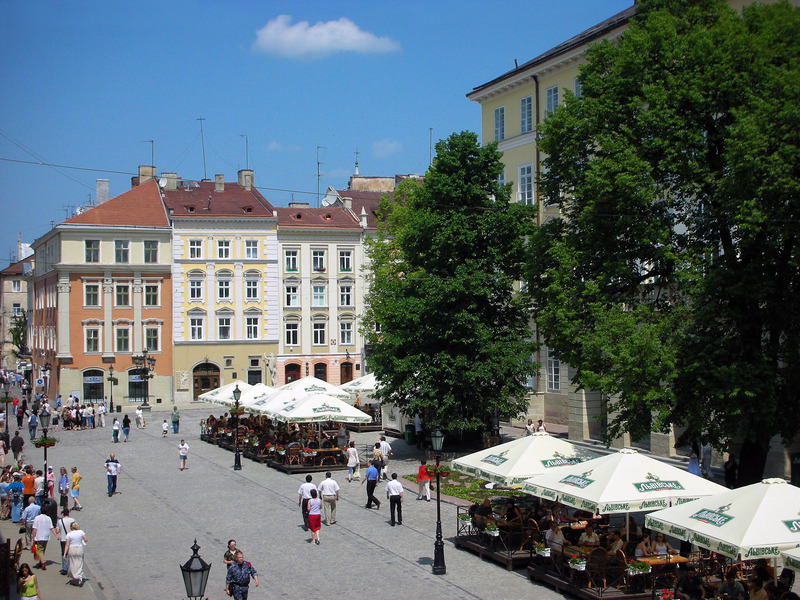 Planned in the second half of the 14th century, Rynok Square is the central square of Lviv, Ukraine. 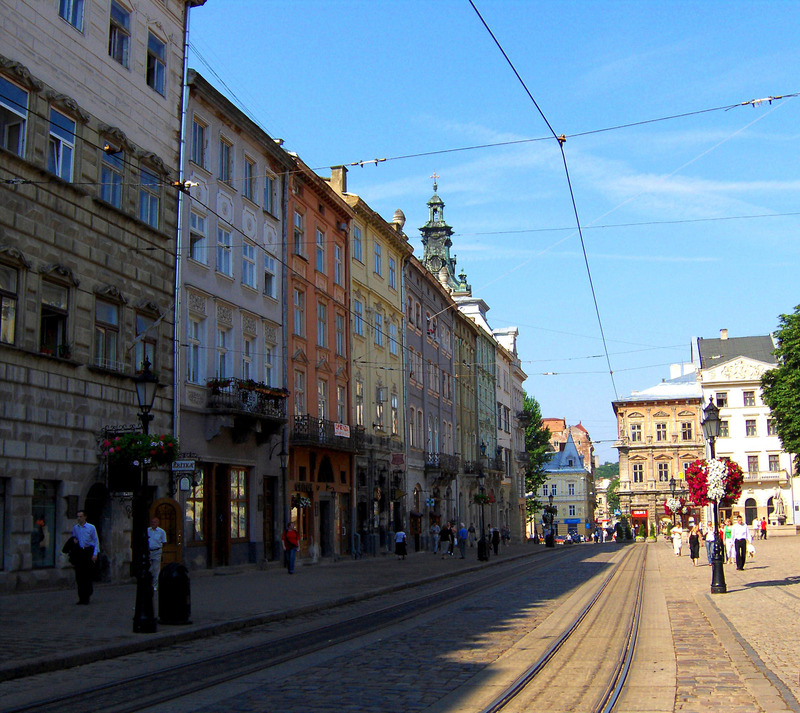 It is rectangular in shape, measuring 142 by 129 meters, with two streets radiating out of every corner. 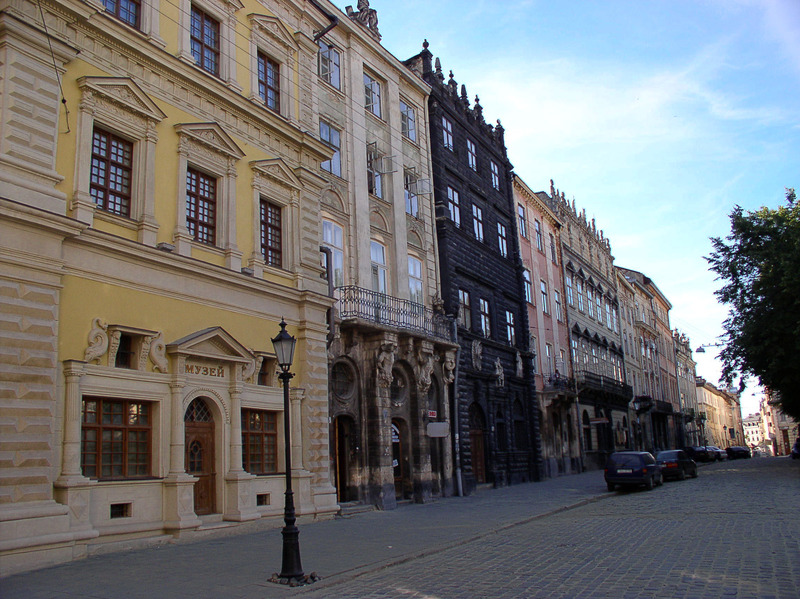 Its southern border is the city's Town Hall.